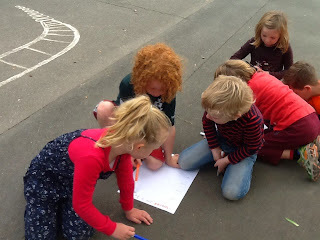 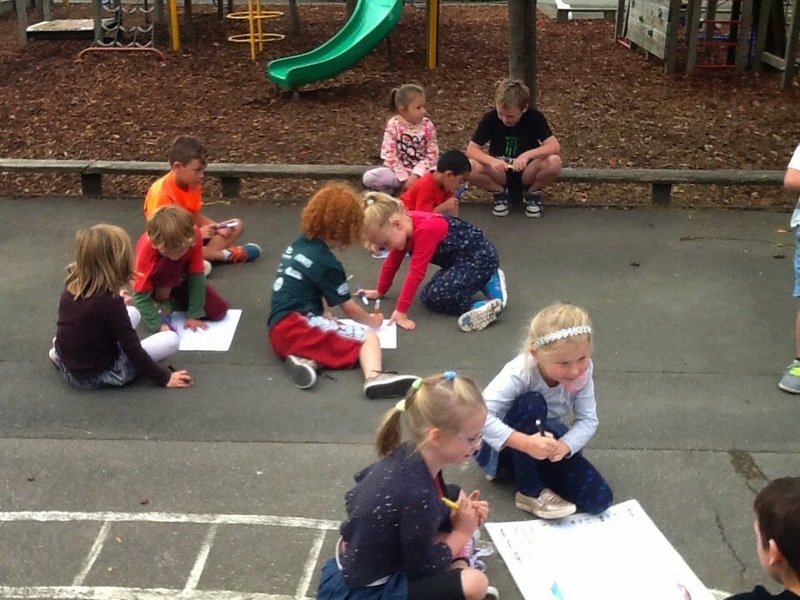 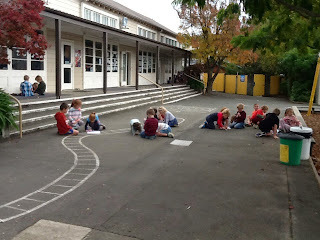 Today we wrote in groups of 3 to describe what was around us outside. We wrote what we could see, hear, smell, feel and what we thought and felt inside. 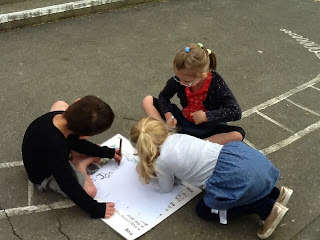 We came up with some WOW words and some great phrases like "teeny weeny fantail" and "rustling leaves".